(Mazatlán, Mexico) – The 13-year manhunt for the head of Mexico’s Sinaloa Drug Cartel, Joaquín “El Chapo” Guzmán, is over. In the United States, government officials hailed his arrest as a huge victory in the War on Drugs, while some average, ordinary, everyday Americans worried about possible disruptions to their never-ending supplies of illegal substances from Mexico and Central America. Originally captured in Guatemala in 1993, Guzmán was sentenced to over 20 years in prison for drug trafficking. His 2001 escape – purportedly in a laundry cart – bought him another 13 years of freedom. Guzmán was found on Saturday by Mexican commandos in Mazatlán. In bed with his mistress at the time, the Washington Post erroneously first reported that El Chapo was found in bed with his secretary; the paper was forced to issue yet another mea culpa. The Sinaloa Cartel, the wealthiest and most powerful of Mexico’s drug cartels, is by default the most powerful organization in Mexico – even more powerful than the Kardashians’ inexplicable star power. The Sinaloa Cartel deals in cocaine, methamphetamine, marijuana, and heroin. For those suffering from cardiovascular disease, they can reportedly get you an unlimited supply of 81mg aspirin. 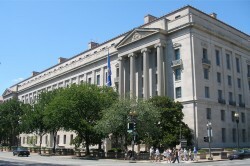 The United States helped Mexican authorities track Guzmán’s recent movements by using staff and resources from the Drug Enforcement Agency (DEA). In addition, assistance was provided via the data collected by the National Security Agency’s (NSA) controversial eavesdropping program. Guzmán’s lawyers say this may be the key to keeping their client from a life sentence in prison. 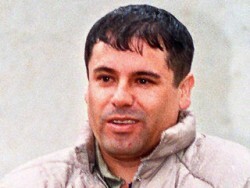 “El Cheapo” is Guzmán’s long-time associate and believed to be Guzmán’s first lieutenant in the Sinaloa Drug Cartel. In spite of being a millionaire many times over, El Cheapo is known for wearing leisure suits and Huckapoos. He communicates with a rotary telephone and relies on his Radio Shack TRS-80 for up-to-the-minute news. And he tips no more than 5% at restaurants. February 24, 2014 in Cocaine, DEA, DOJ, Drug Addiction, Drug Cartels, Heroin, Joaquín "El Chapo" Guzmán, Marijuana, Mazatlán, Mexico, Sinaloa Drug Cartel, Substance Abuse.